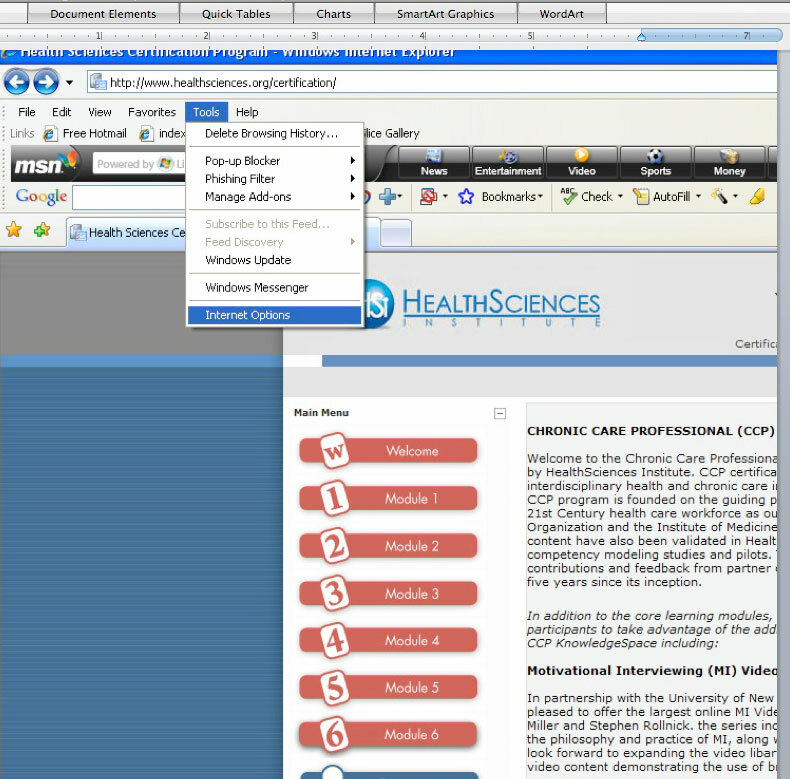 HealthSciences provides email or phone support within 24 hours on business days. Before submitting a support ticket, please confirm that your computer or device meets our minimum requirements. Please also review our Technical Support Frequently Asked Questions (FAQs) below. On the upper right corner of the HSI home page, you will see a link for the CCP program. On the program log-in page, there is a link to reset your password under the log-in/password boxes. Click it for instructions to reset your password. 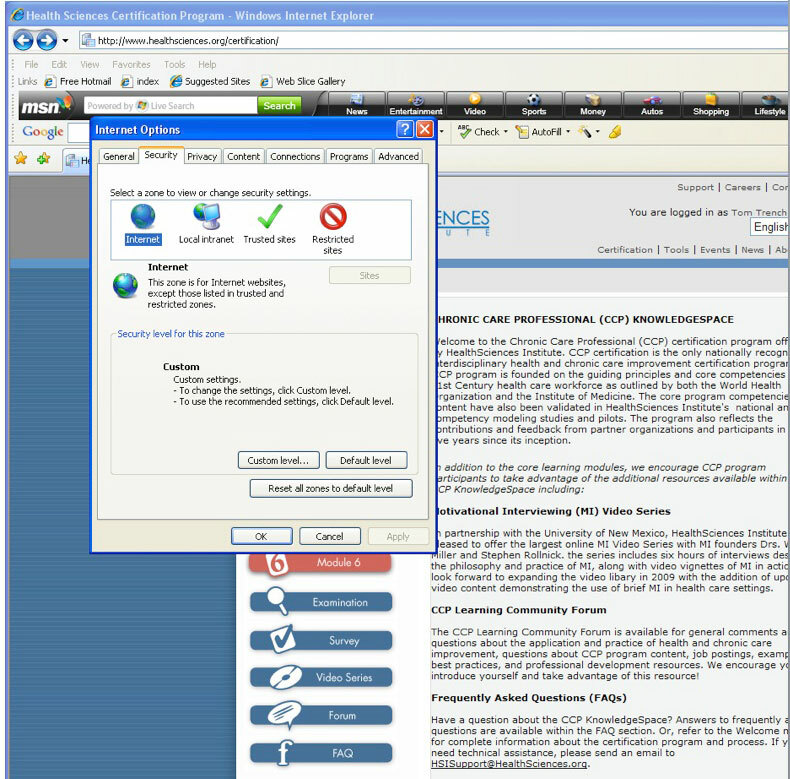 I am trying to view a video presentation and nothing happens. We use Vimeo to stream presentations. If your browser has blocked Vimeo (which you can verify by clicking here), please either remove the block, or use a browser or computer that allows access to Vimeo. If you have technical troubles accessing or using certain functions within the learning program and are using a suggested browser and operating system, please submit a support request using the form below. My email address is expiring. How do I change it so I can still receive messages and log in to the program? If you need to change your email address or username, please fill out a request using the form below. 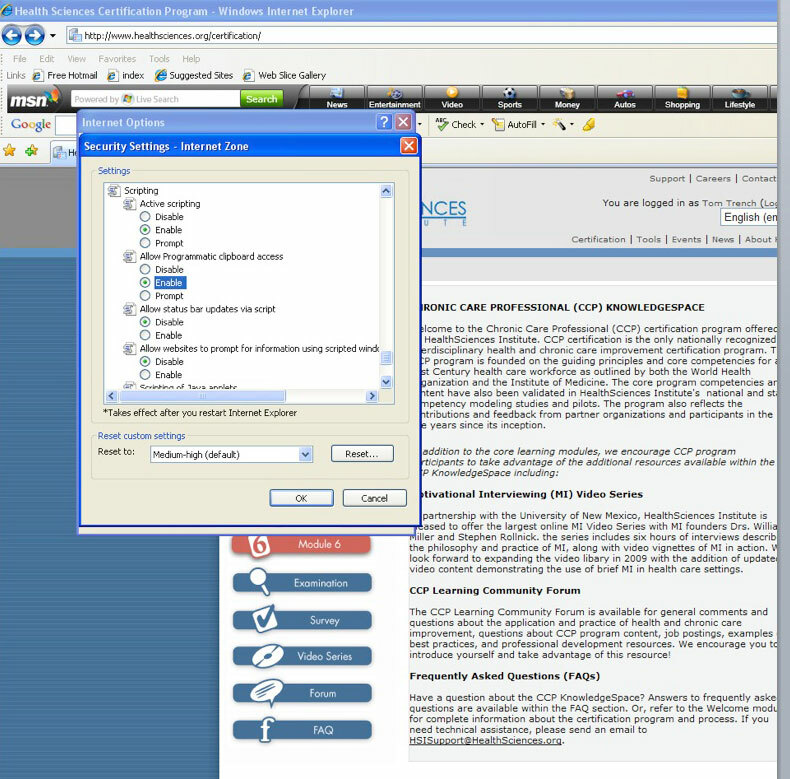 Select the "eLearning Technical Support" option. When your request has been completed, you will receive confirmation. While taking this exam, my browser repeatedly asked me "Do you want to allow this webpage to access your clipboard?" What should I do? Under “Allow Programmatic clipboard access” option, select Enable. Default action for this option is Prompt, which will cause the pop-up message whenever there is any attempt to access the Clipboard. Allowed file types: jpg png pdf doc docx xlsx mov mp3 wav zip.